My dad was a volunteer fireman for nearly 50 years. He first volunteered because his town had so few firefighters that they allowed the boys to leave school if there was a fire if they had joined. So, naturally, what sixteen year old didn't want to get out of school? He signed up, and volunteering because his lifeblood. By the time I was ten, he had a slew of health problems from heart disease to high cholesterol to diabetes. The one thing that no one was very concerned about at that time was the health of his eyes. My mom grew up around books and as a child she plunked out stories on the 1915 Oliver typewriter her family owned from the coal mine business. As I grew up she wrote stories for me, which I treasure. She would love to read of an evening, and as a child on winter evenings we would curl up together on the couch under an afghan each of us with our own book and a cup of hot chocolate. She didn't get her eyes checked regularly because it wasn't covered under her insurance. Now, both of my parents are gone, but they have something in common. Each had macular degeneration as they got older. While there have been big advances in medicine since each has passed, it makes me wonder if Dad could have continued working as a 911 dispatcher longer than he was able to if he had been screened regularly. One of my Mom's last Christmases I found a super large print Bible with eight letters to an inch. She could barely read it. Her eyes had failed her so badly. They are far from the exception. 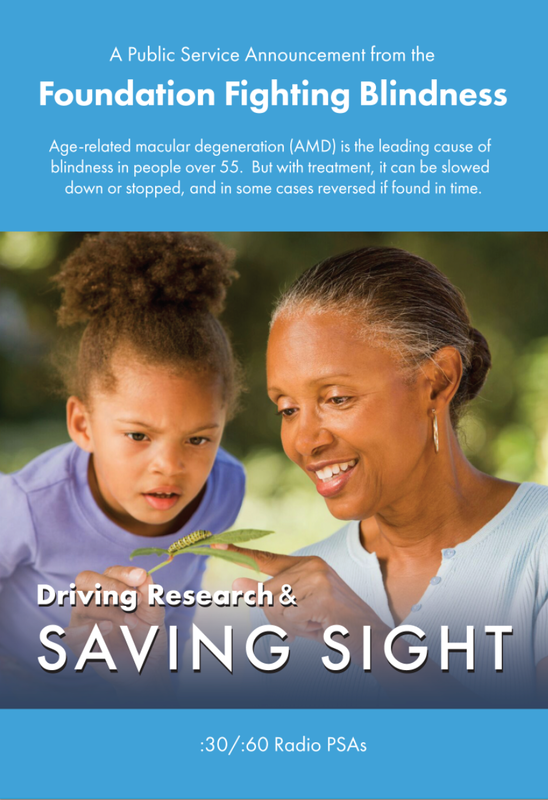 Ten million Americans go blind EACH YEAR due to age related macular degeneration (AMD). What is really exciting is a cure is in sight! The Foundation for Fighting Blindness, established in 1971, has made great strides in helping to stop and even reverse AMD in some patients. This is big news for anyone 55 or older. I wonder if my dad who passed away ten years ago would have been able to continue with the job he loved so much longer than he was able to do so. 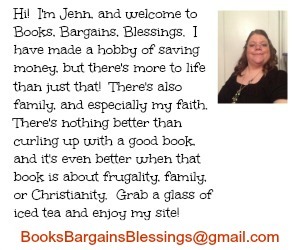 I wonder if my mother would have been able to see her story printed in Chicken Soup for the Soul without squinting. While I don't have children, many grandparents miss out on small things with their grandkids such as playing cards, teaching them to knit or sew, or simply reading a story together. This year the Foundation Fighting Blindness' campaign is titled "Driving Research & Saving Sight". This is an important topic for everyone to be aware of so you can ask your doctor about treatments if you start to notice changes. The FFB is offering FREE information -- you don't even have to put in your e-mail -- just go to this link -- and you can read the PDF and download it for future reference. Hopefully by looking into age related macular degeneration, you may be able to spot it early in a loved one and encourage them to see a doctor so they can continue seeing this beautiful world.